If you’re looking into purchasing a luxury home in the Los Suenos area, consider giving one of our agents a call at Stay In Costa Rica. We are specialists in finding real estate for our clients, and we’ll be happy to assess your goals and needs prior to beginning our search into the market. Whether you’re looking to become a full-time resident of Costa Rica, an expatriate, or simply want a vacation home to enjoy when you’re in the area, we can help you find the perfect home tailored to your desires- one that is close to the amenities you want to enjoy. Without a knowledgeable agent in your corner, you’ll find it very difficult to navigate the Los Suenos real estate market. With our agents working on your behalf, we’ll look at houses in Los Suenos that fit within the parameters of your budget. We’re highly skilled negotiators when it comes to ensuring both parties walk away from the table completely satisfied with the deal. Start your search on the Stay in Costa Rica website or simply place a call to our office to get the process started. Honest, knowledgeable, and reliable service. Our agents know the Los Suenos area better than anyone else in the region! Our close ties within the Los Suenos community will prove to be an added benefit when it comes to amenities. Experience. With more than 15 years of service to the Los Suenos community, you won’t find another real estate agency better suited to finding you the right home. Integrity. Our long and growing list of satisfied clients is proof positive we are able to keep our promises to you when you hire us to look at houses in Los Suenos. You can search our listings now from the comfort of your own home by clicking our ‘Real Estate’ link on the Stay in Costa Rica website. Just choose ‘Listings’ from the menu to get started. If you find a property you’d like more information about, reach out to one of our agents by phone at 866-439-5922. 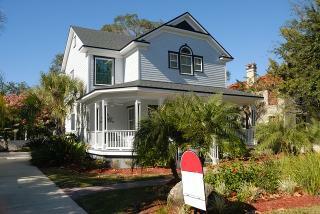 Our listings include luxury condos, private homes, vacation rentals, retirement homes, and much more. We’ll also show you recently sold properties so that you can compare the prices with listings that are currently available. Let’s get together and talk over the phone or through email. If you’re interested in seeing houses in Los Suenos, we can provide you with personalized, tailored services geared toward your preferences and aimed toward fitting your schedule. You’ve chosen a top destination to search for a home, and we want to be sure you get the best investment when it comes to your purchase. Call our office today to get connected with a knowledgeable agent.